A completionist save with full Renegade and even more badass moments. Get out there and make Hackett proud. Includes saves at the beginning and end for convenience. Remember to disable the Genesis comic to avoid overriding decisions. Completionist, including Bring Down the Sky DLC. 100% Renegade, with some Paragon to avoid stupid, "evil" choices. Over 10 million (legitimately) earned credits. Fist was killed by Wrex. Oraka got his act together. Xeltan apologised to Shai'ira. Almost blew Jenna's cover, reluctantly agreed to help her out of Chora's Den. Scared Finch away and showed the Turian how it's done. Surprised to see the Reds were still going. Gave Conrad Verner a taste of what it was like on Elysium. Scanned all the Keepers for Chorban, resisted the urge to kill both of them. Helped Samesh Bhatia after intimidating the Alliance rep.
Did the C-Sec officer's job for him and forced the preaching Hanar to leave. Saved some of the colonists on Feros, killed the rest. Shiala is alive. Kept the smuggled cargo on Noveria for the hell of it. Intimidated both parties for some great corporate espionage. Parasini and Anoleis killed each other, obtained a garage pass from Lorik Qui'in. Hesitated at the prospect of committing genocide, decided to give the Rachni Queen a chance and let her escape. Hung up on the Council multiple times. Avenged Kahoku and told the Shadow Broker agent to shove it. Wrex grudgingly calmed down, personal quest completed. Rana Thanoptis fled the blast radius. Run, Rana, run. 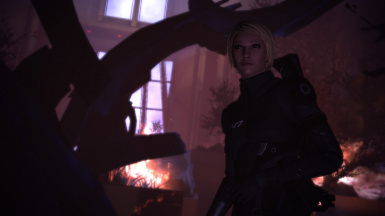 Tali completed her Pilgrimage with the Geth data. Killed the doctor with Garrus. Hostages died and Balak was left to die. Slowly. 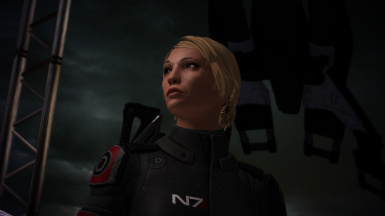 Anderson punched Udina and freed the Normandy. Had enough of embracing eternity, romanced no one. Council/Ascension saved from Sovereign and the Geth. Supported Anderson for the position. All other assignments and side missions resolved with Renegade, occasionally violent route. 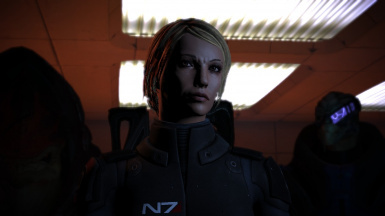 To install, extract the files and put them into ../Documents/BioWare/Mass Effect/Save. If it isn't appearing as an option to import for Mass Effect 2, you need to go into ../Mass Effect 2/Binaries and launch MassEffect2Config. 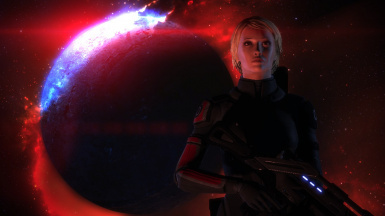 Click Save Games and then click Copy Mass Effect 1 Save Games. 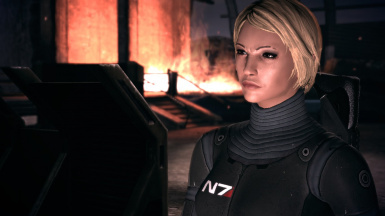 You should now see it when importing for ME2.